(November 2010) – World Bank President Robert Zoellick has said Gold is now the “yellow elephant in the room” that needs to be acknowledged by policy-makers of major economies and central banks as discussions of a new international monetary system move forward. His recent comments on the need to reintegrate gold into the core of the global financial system have seen the spot gold price continue to set new upward records. PROUT seeks financial stability so that a people’s economy may evolve for all. A gold standard is recommended by PROUT in order to establish monetary value at a naturally acceptable psychological level. 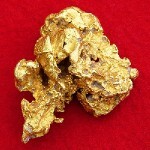 Gold’s fame stems from its decorative value. It is of little practical use in most other areas where metals are called for. Robert Zoellick and the World Bank however may desire to perpetuate the present system and they see gold as a rescue device, perhaps interim, during a period when the US dollar-based system seriously falters. There is a dramatic difference between the motivation of PROUT for taking gold seriously and that of the World Bank.